Brother India latest prices 2017 for multi-function printer. You can see list of our Brother IN DCP-T300 vs DCP-L2541DW below, perform Side-by-Side comparison. If you need further help, do have a look at Conzumr Guides and Tips. 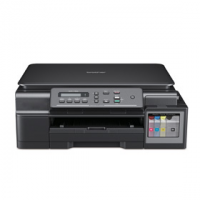 Alternatively you can view all Printer and Scanner to choose your own favourites. Bigger savings and smarter design with Refill Tank System that offers ultra-high 6000 page-yield for black ink. 10BASE-T / 100BASE-TX Use a straight-through Category 5 (or greater) twisted-pair cable. DCP-L2541DW : 10BASE-T / 100BASE-TX Use a straight-through Category 5 (or greater) twisted-pair cable. To Recieve updates and possible rewards for Brother DCP-L2541DW please sign in. To Recieve updates and possible rewards for Printer and Scanner please sign in.